Mark that’s a coincidence we had a Kayes Engineers here in Subiaco who were also Repco agents and ran a Repco Holden engined speedcar for Laurie Stevens. Perhaps they were a national outfit- I’ve done simple Google searches but not found anything about them so far. I didn’t mean to put the article up, I was trying to save it, lost focus and hit the upload button instead of save- two articles within 24 hours! 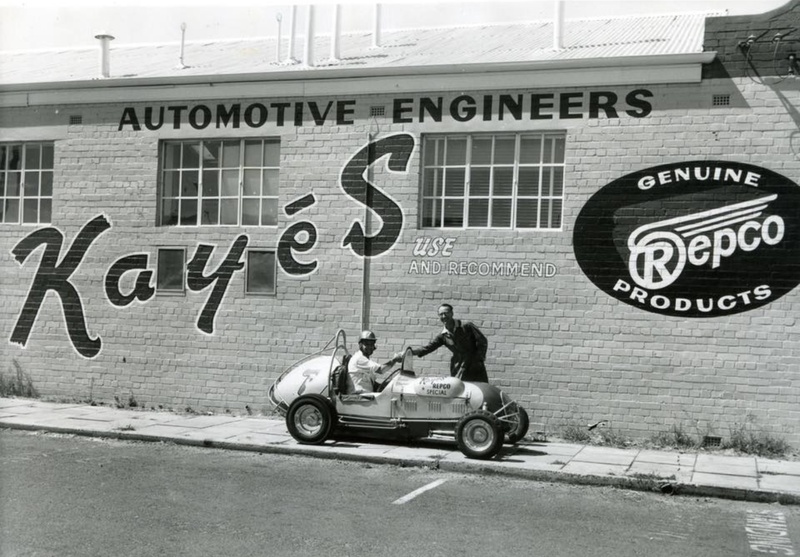 That photo was probably taken in 1962 at Kayes Eng in subiaco..Jack was in town for the 1962 AGP at Caversham……Kayes were Repco agents..W.A.7..Laurie Stevens midget. I missed Ken’s point earlier, so it’s not Jack at all but rather Laurie Stevens? Just moved a business from Rokeby Road recently to St Georges Tce- where in Subi was Kayes? Hay Street much more gentrified these days- i’ve not been over since early Feb and that was a quick trip. Hope to be over later in the month or early August, will email you when I know to see if we can catch up. Intrigued to know the answer to this mystery- Nigel is usually spot on with his photos- it could be Jack but the photo is not shard enough to really tell. I did a quick Google- am sure you are both right on the car- just a question as to who is sitting in it! Definately Bill Kirkhams car WA7 repco special driven by Laurie Stevens..Exhaust is on the left hand side and you can see the unique rear bumper – cradle around the tail…Looks like Jack sitting the car shaking the proprietors hand…This car later had a more sleek front end from the windscreen forward…Cheers. 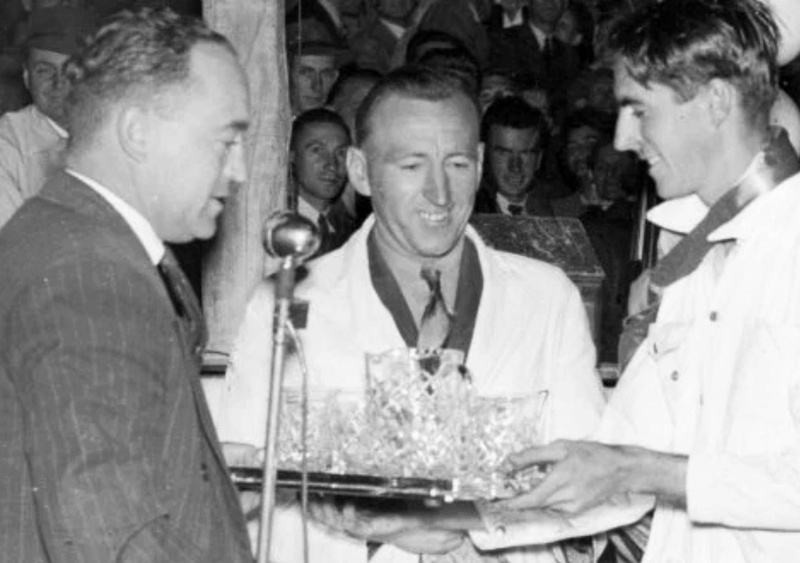 Between you and Ken Devine you have solved it, shall update the photo caption when I get a chance tomorrow. Many thanks.